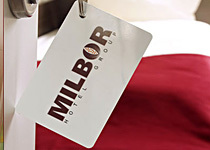 Milbor Hotel Group is glad to welcome you in Frankfurt. If you need a hotel in Frankfurt, that would meet all your requests and guarantee a nice stay in the vibrant and full of fascinating contrasts financial capital of Europe, we are offering our friendly accommodation in good locations and with all comforts possible. We’ll be happy to see you in Frankfurt hotels Admiral, Memphis and Colour, which will gladly welcome you. Besides, the elegant Rheinische Hof in Bad Soden is looking forward to your visit, if you wish to have a good time in this high-class hotel near Schwalbach, Eschborn and Kronberg im Taunus, close to Frankfurt. Milbor Hotel in Bad Soden opened in September 2012.